The Global Executive MBA class which started in 2014 spent last week furthering their skills in innovation and entrepreneurship in Kampala, Uganda. 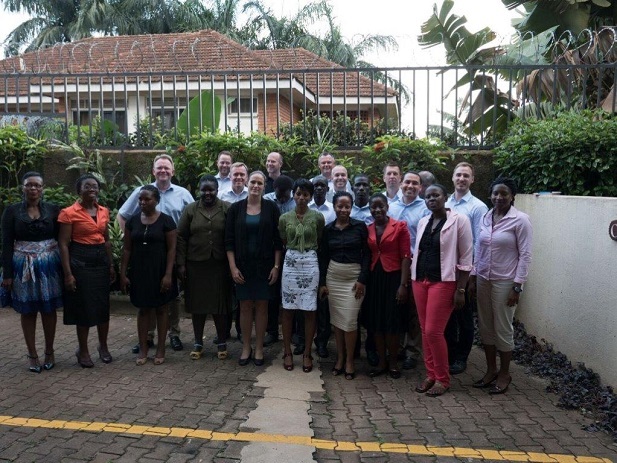 Holding the module in Kampala is a new initiative, one which served to expand participants’ horizons significantly. Lectures were interspersed with company visits to local and international firms, networking and collaboration with MBA students from MUBS, interaction with the Danish Ambassador to Uganda and staff and various presentations by important institutions and company representatives. Participants returned to home turf having been impressed and inspired by the local entrepreneurial climate. The module in Uganda represented the last international module for this Global E-MBA class, which will graduate in June 2016.